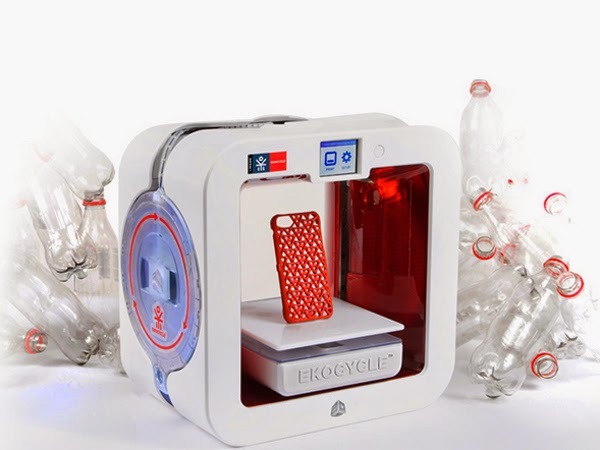 Musician and entrepreneur Will.i.am has collaborated with 3D Systems to launch a 3D printer that uses filament recycled from used Coca-Cola bottles. Available later this year, the Ekocycle Cube will retail at $1,199 and will be supplied with 25 print designs selected by Will.i.am. The printer will be able to create objects up to 6 inches cubed, using filament made of 25% recycled plastic.